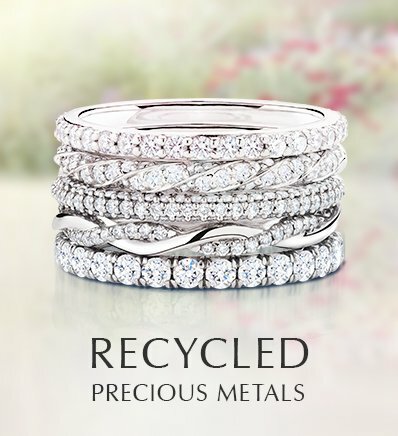 Bezel set rings are beloved for their sleek design and modern curves. 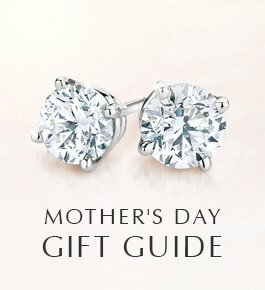 This distinctive diamond setting is stunning when featured at the center of an engagement ring, but also looks utterly unique when used in accent stones and wedding bands. A bezel setting surrounds the gem’s girdle (its widest point) with a thin band of precious metal to create a perfectly smooth edge and keep the gem secure. Rather than surrounding the gemstone in precious metal, prong settings hold the diamond in place with either bead, peg, or claw prongs. The prong is notched at the gem’s girdle to secure it in place. 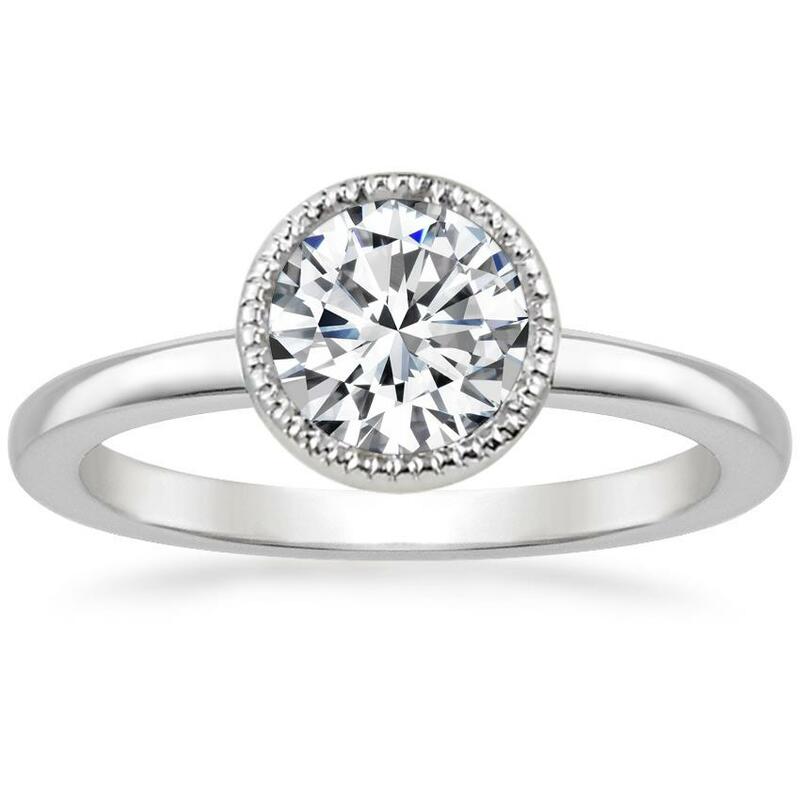 Since prong set styles use less precious metal to hold the gemstone in place, more light filters through the diamond. This causes prong set diamonds to appear more brilliant than bezel set diamonds. 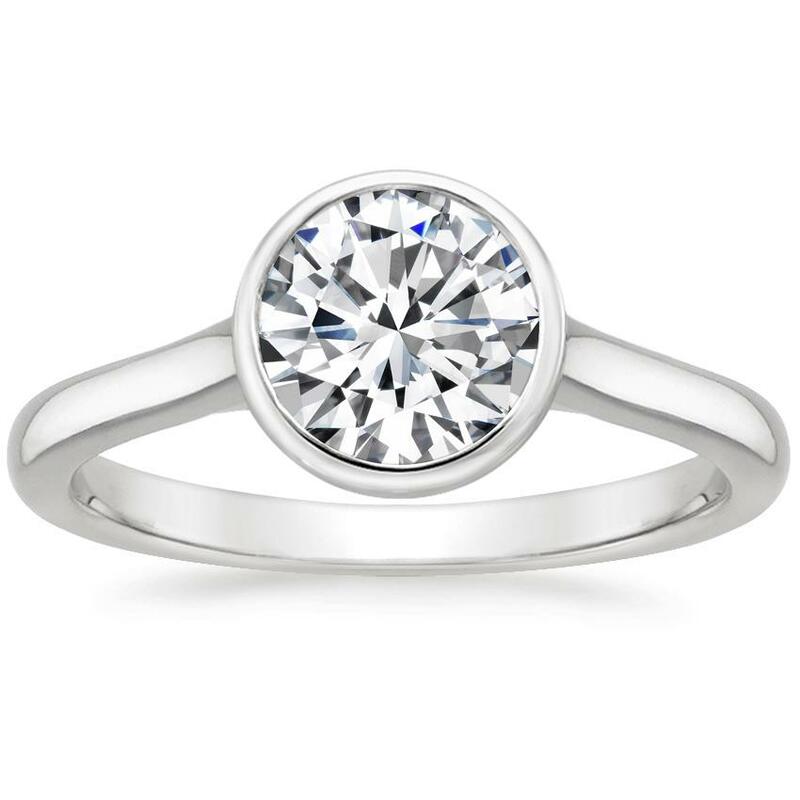 Solitaire prong settings tend to be less expensive than solitaire bezel settings since less metal is used. Prong settings leave the diamond more exposed, so if you live an active lifestyle your diamond might be at a higher risk of getting damaged. Bezel settings leave the diamond completely wrapped in metal, keeping it very secure. Although less light reaches the diamond in a bezel setting, a band of lustrous precious metal may make your gemstone appear larger. 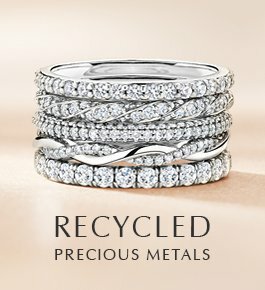 If you live a highly active lifestyle, or work in an environment where your ring is likely to get bumped often, bezel settings are a great choice! A stone held in a bezel setting is less likely to get loose and fall out, making this setting an excellent choice for active people. Bezel setting can also be great at hiding a gemstone’s visible defects, such as chips or inclusions. If you are opting for a softer gemstone, such as an opal or emerald, a bezel setting will protect them from scratches and chips better than a prong setting would. These settings also offer versatility in style. 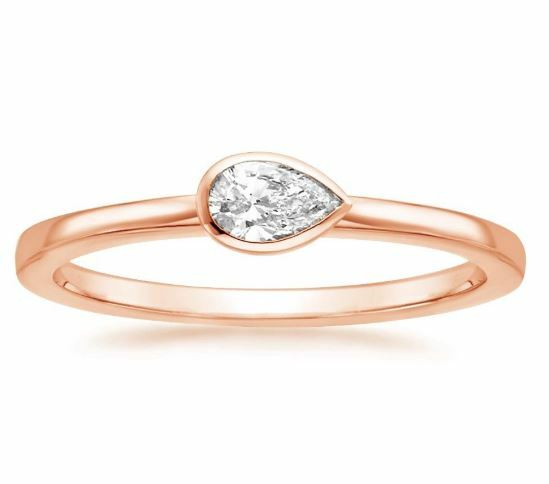 They’re especially great if you love modern engagement rings, but you want a ring with a bit of vintage flair. Choosing a bezel setting with light-reflecting milgrain detailing can add a touch of old world charm. If you want something a bit more glamorous, you could choose a bezel setting with diamond accents. 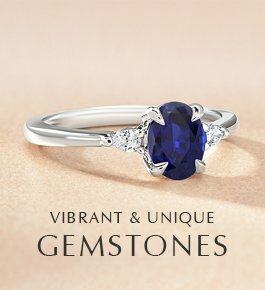 Semi-bezel rings—featuring a bezel that does not surround the entire circumference of the gemstone— are also secure and create gorgeous, flowing styles. 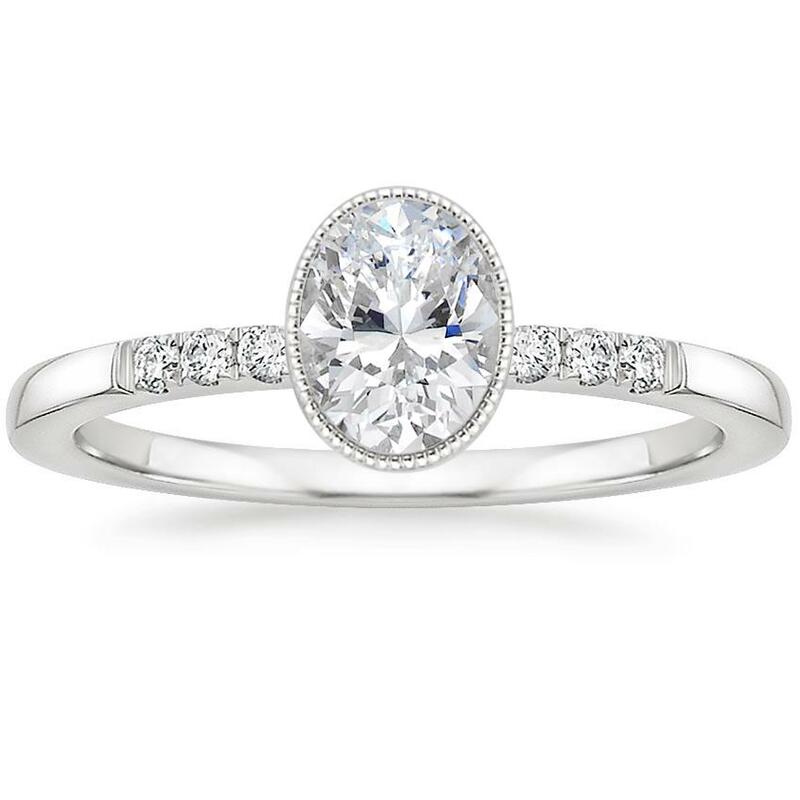 This beautiful modern ring features a bezel set center gem with a sleek band for a contemporary look. 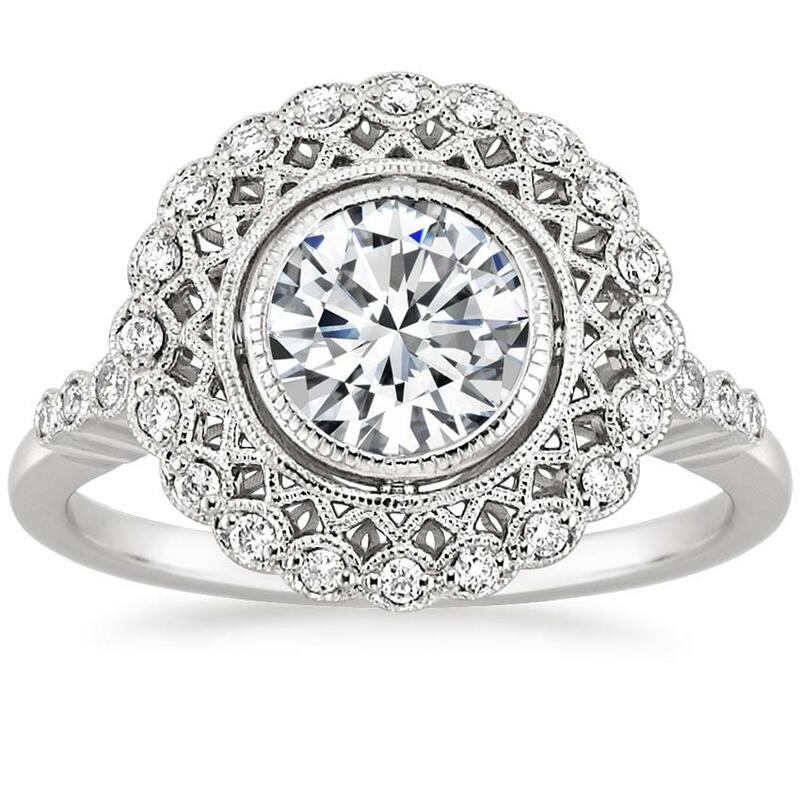 This truly exceptional vintage-inspired ring features a bezel set center gem surrounded by lavishly detailed latticework and a halo of shimmering diamonds. 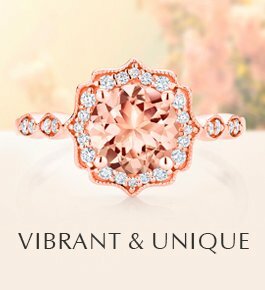 This stellar ring features a center gem bezel-set and slightly lofted within an intricate milgrained halo for a brilliant sparkle. The distinctive and beautifully detailed gallery lends subtle but eye-catching appeal. 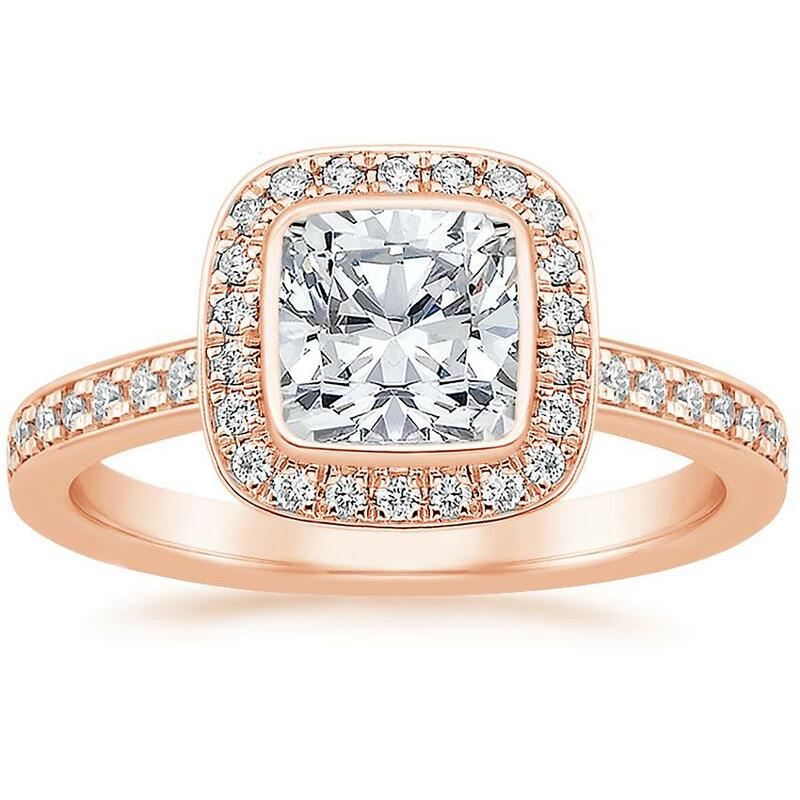 This feminine ring features a bezel-set gem floating above a halo of shimmering diamond accents. 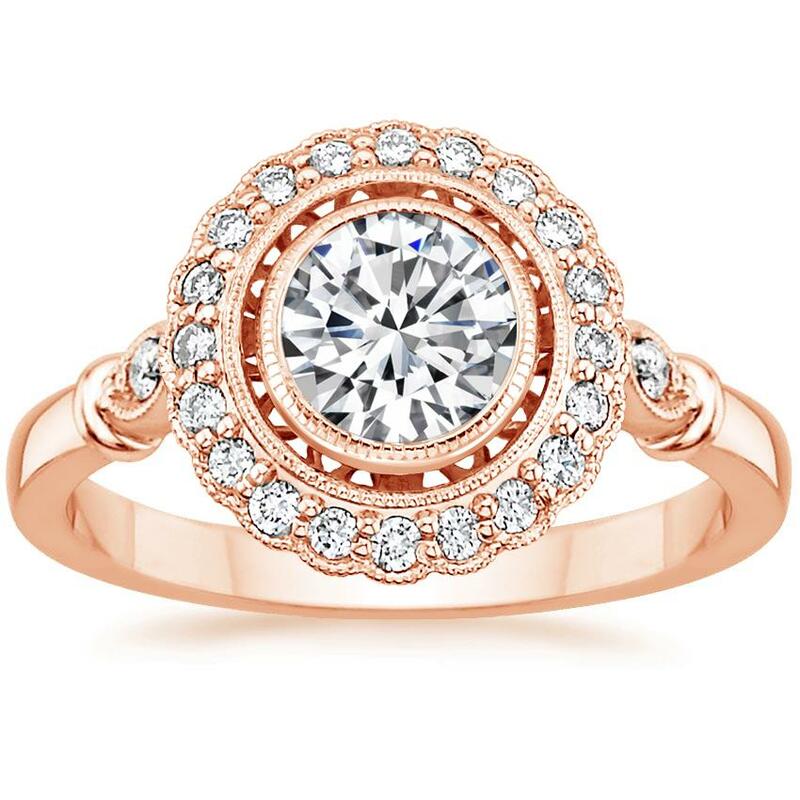 Delicate milgrain detail surrounding the gems creates an aura of vintage romance. An intricate halo of pavé-set diamonds embraces and accentuates the center bezel set fancy shaped gem of this brilliant modern style ring. Diamond accents on the band and a chic open gallery add a truly dazzling effect. 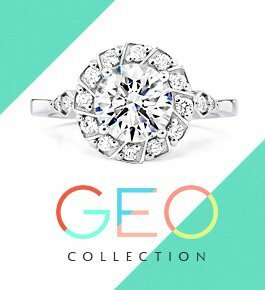 Slightly lofted within an intricate milgrained halo for a brilliant sparkle, this striking ring features a gorgeous bezel set center gem. The distinctive and beautifully detailed gallery lends exceptional appeal. 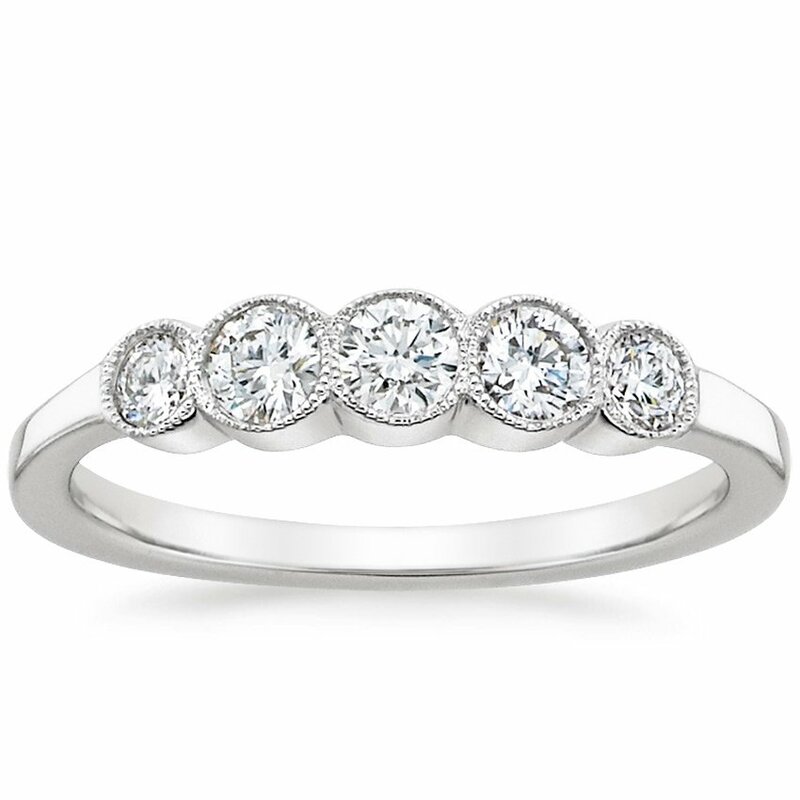 Five dazzling round bezel-set diamonds are embellished by subtle milgrain, adding to the modern yet timelessly romantic look of this diamond ring. 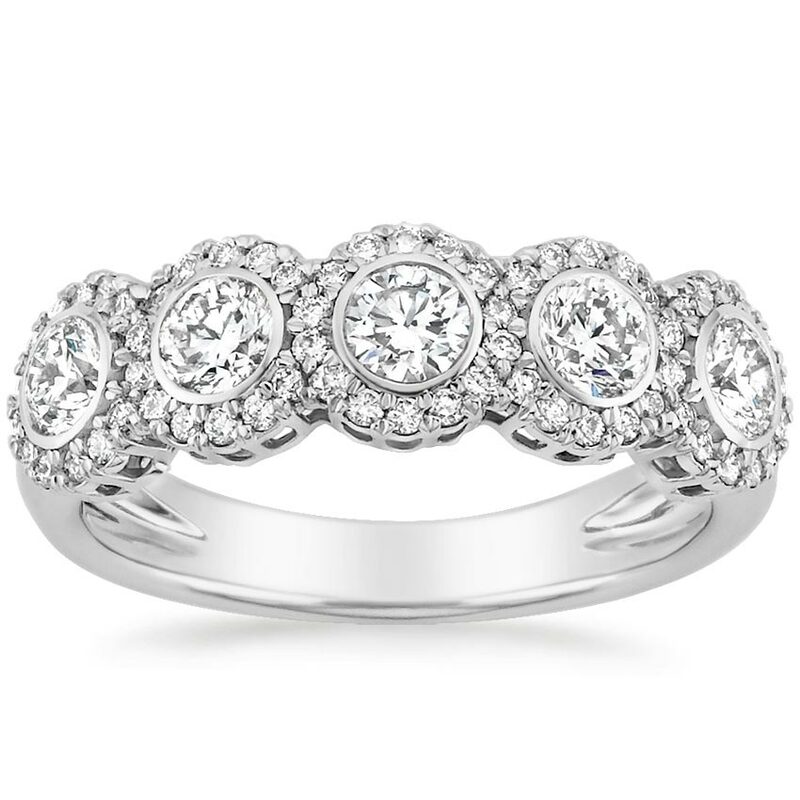 Round bezel set diamonds encircle the finger in this glamorous band. Milgrain detailing adds another dimension of interest, making for a timeless look. 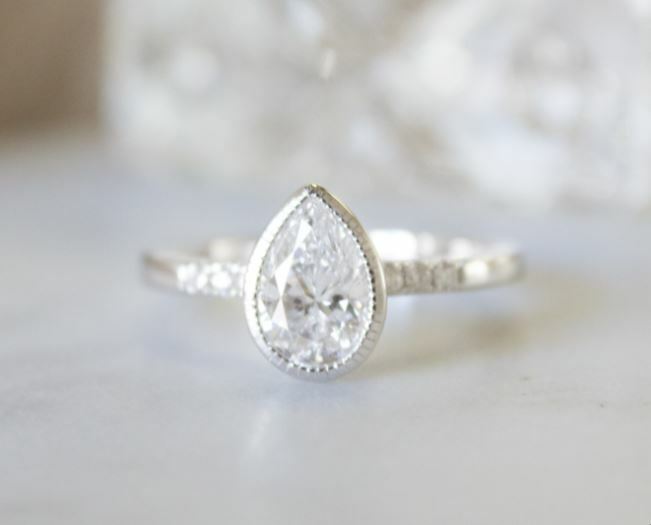 This beautiful modern ring features a pear-shaped diamond in a contemporary bezel setting. 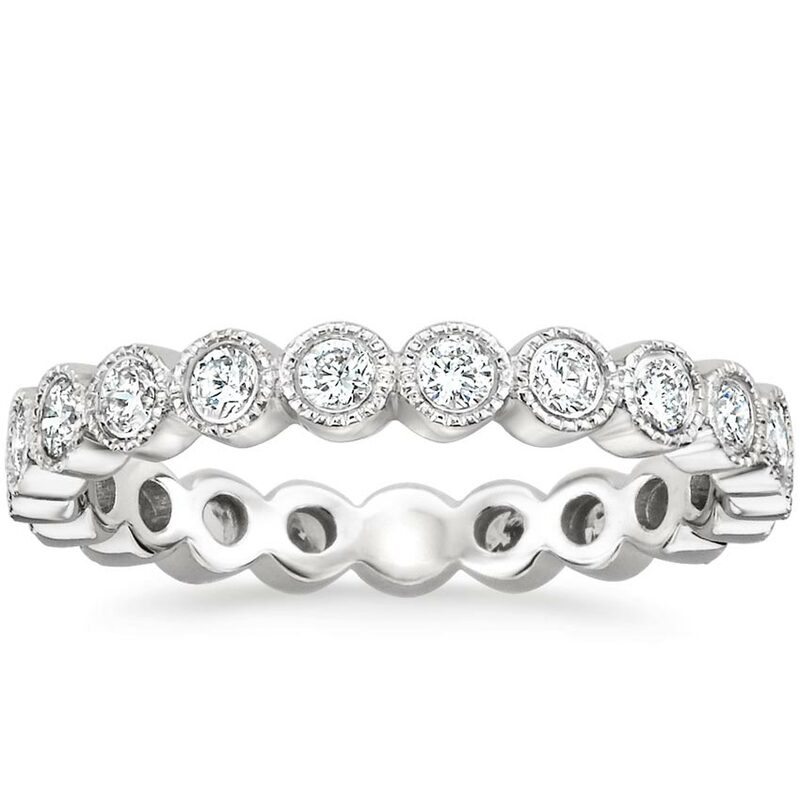 The sleek and delicate band looks wonderful when worn individually or as a part of a stack. 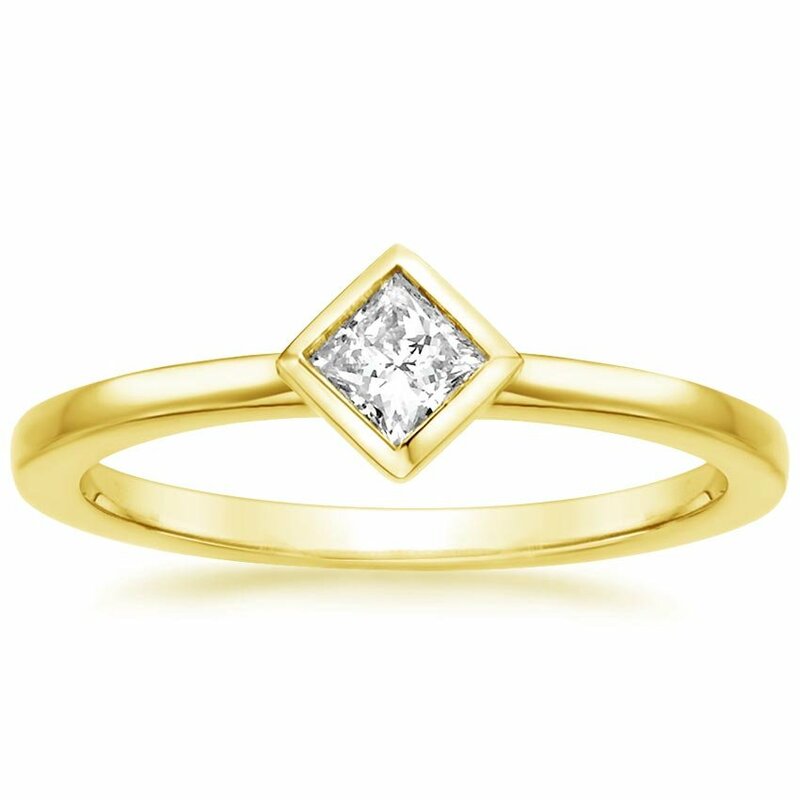 This beautiful modern ring features a princess cut diamond set at compass points in a contemporary bezel setting. The sleek and delicate band looks wonderful alone or worn in a stack. 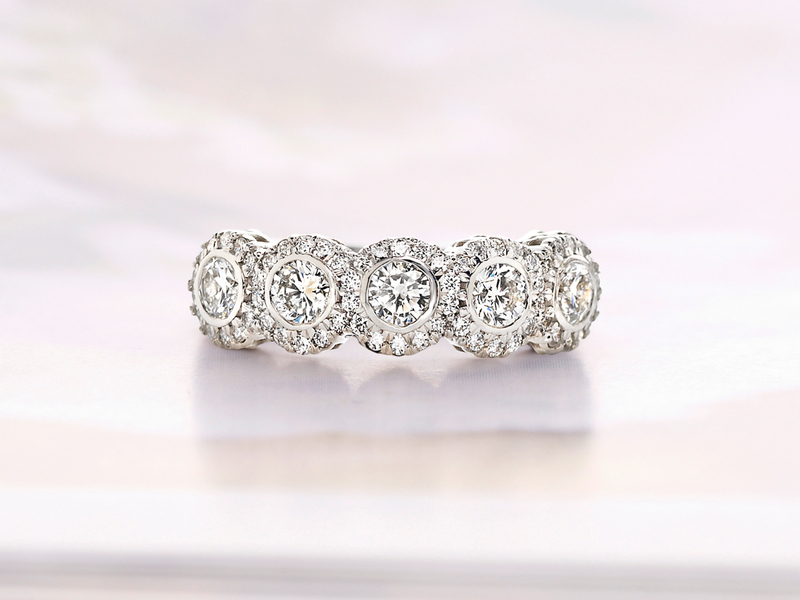 Five bezel set round brilliant diamonds are encircled by glittering pavé diamond accents in this striking ring. Whether you’re attracted to bezel settings for their sleek and modern appearance, or you prefer them for practical reasons, there’s no doubt that these rings are striking! Let us know what style is your favorite on our Instagram, Facebook, Twitter, or in the comments below.